BSNL without increasing monthly rental charges has announced to upgrade FUP limit for Unlimited Broadband plans in all Telecom Circles. State run Telecom Company Bharat Sanchar Nigam Limited (BSNL) to offer extra benefit to existing Broadband customers has decided to revise the existing Broadband plans Fair Usage Policy (FUP) limit across India. Not only for existing Broadband customers BSNL extended this scheme to new Broadband customers. Last two months BSNL offering cheapest data tariff at reduced price and introduced new ‘Student Special plan’ for students offer reduced voice calls @ 10ps per minute with 1GB free data usage in all Telecom circles under GSM Mobile services. 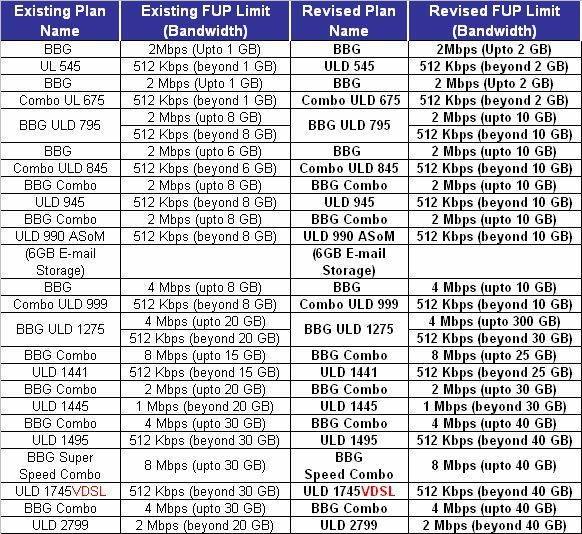 As per latest information, PSU competent authority stated that, upgrading FUP limit is applicable for both existing/new broadband customers and some of the existing Unlimited VDSL broadband plans will not available for new connection customers. The revised FUP limit (bandwidth) will be applicable to the existing Broadband plans - BBG ULD 545, BBG Combo ULD 675, BBG ULD 795, BBG Combo ULD 845, BBG Combo ULD 945, BBG Combo ULD 990 ASoM, BBG Combo ULD 999, BBG ULD 1275, BBG Combo ULD 1441, BBG Combo ULD 1445, BBG Combo ULD 1495, BBG Speed Combo ULD 1745 VDSL and BBG Combo ULD 2799 respectively. The above revision and withdrawn plans will be implemented with effect from 1st August, 2016 onwards in all Telecom Circles. All other terms and conditions will remain the same. How to Deactivate BSNL Value Added Services via sending SMS? Copyright © 2019-2020. 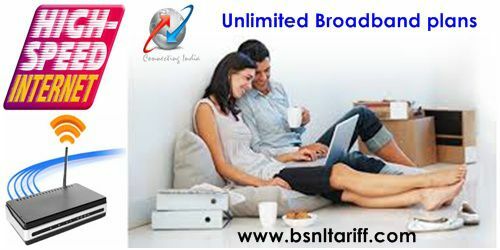 BSNL TARIFF | Broadband Plans | 4G Offers All Rights Reserved.